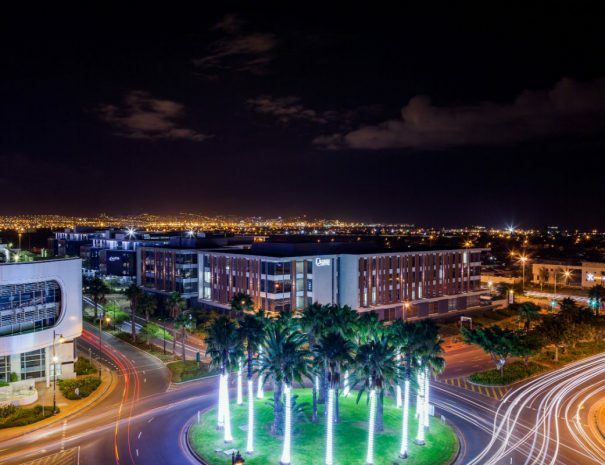 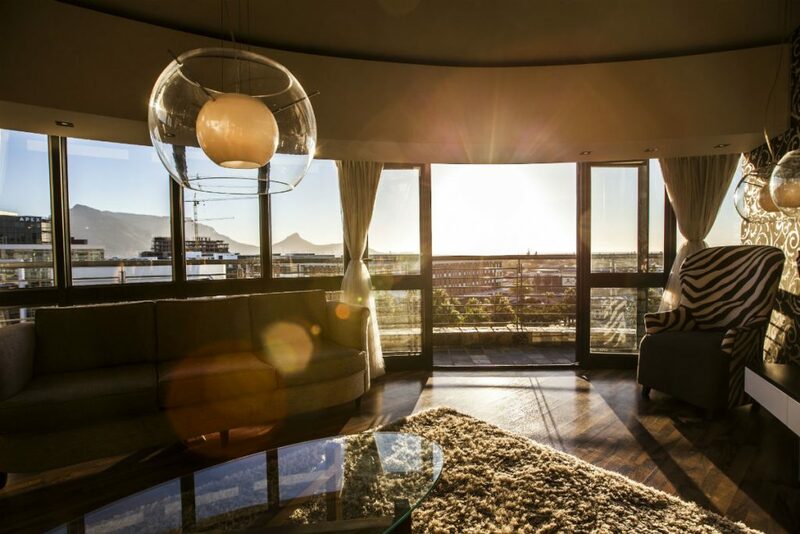 Luxurious, ultra-modern, and residential-sized, these Presidential Penthouses are a spacious 141m2. 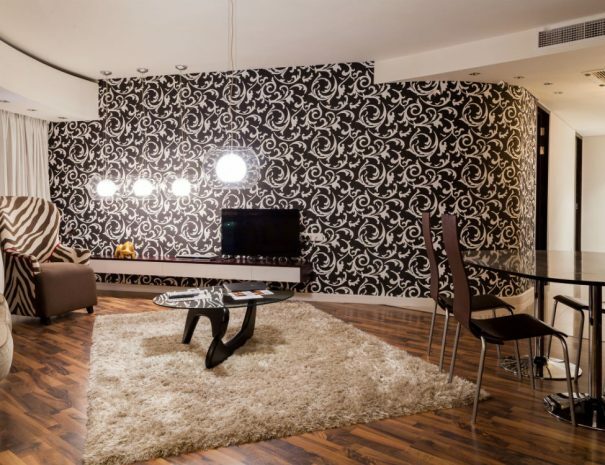 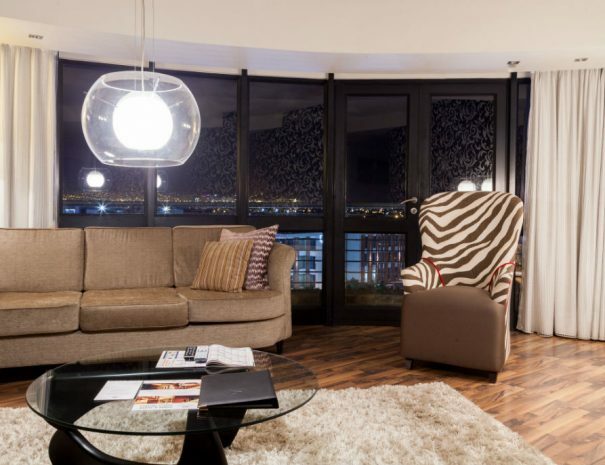 The Presidential Penthouses are semi self-catering with a microwave, silent mini bar fridge, crockery & cutlery, as well as a dining room table that seats up to a 6 people, executive work station, spacious living area with LCD TV screen and DVD player. 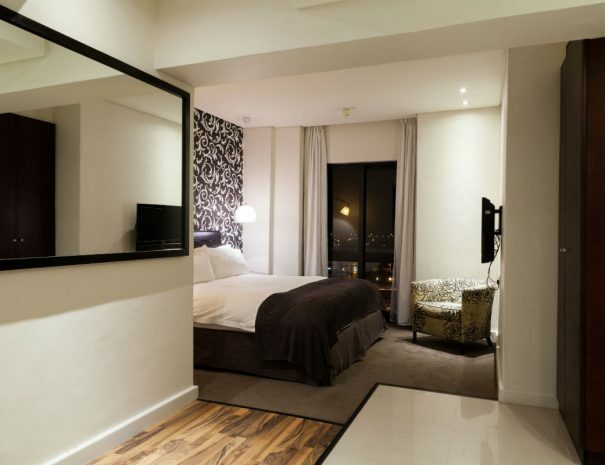 King size beds grace every bedroom and come complete with fine linen, as well as LCD TVs and DVD players in each. 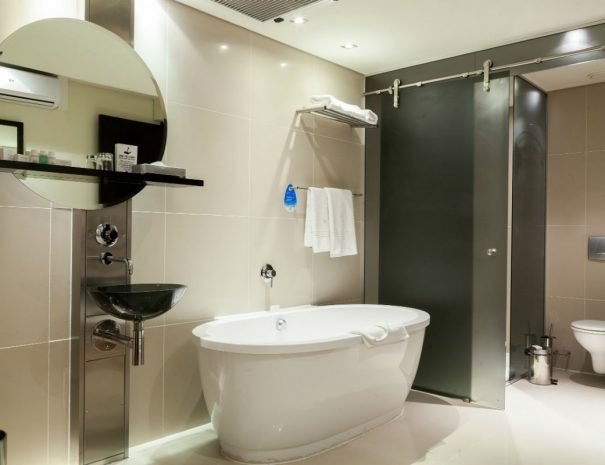  Three bathrooms with deluxe free-standing bath tubs or separate walk in showers en-suite. 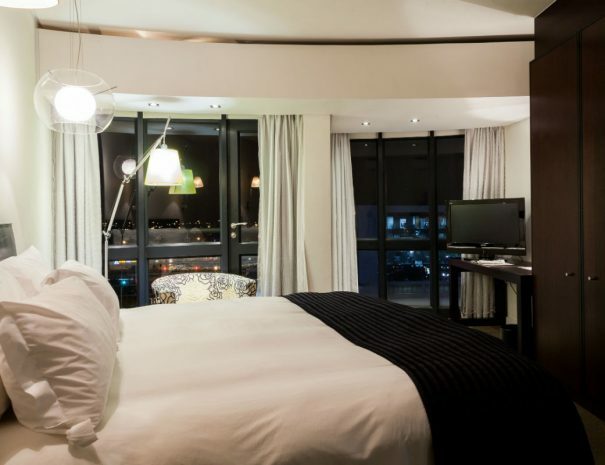 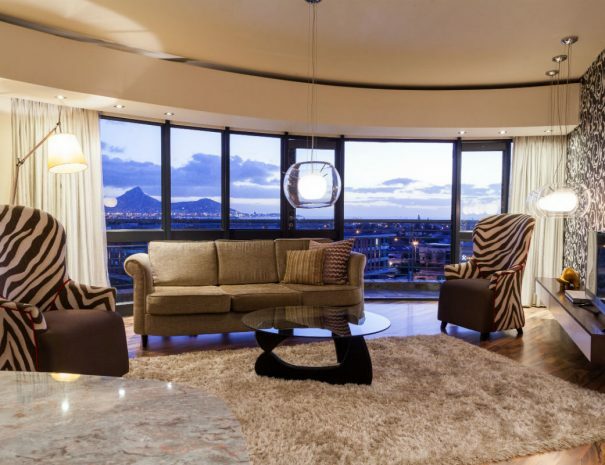 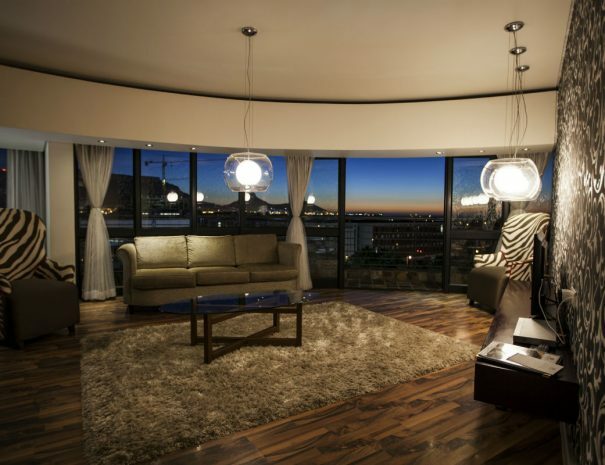 The penthouses boast large balconies with spectacular views of Table Mountain, Lions Head, Devils Peak and Table Bay.